The rapid globalisation in the fashion business and the challenges posed by producing ever more textiles on an ever tighter time schedule at ever cheaper prices… these developments translate into catastrophic conditions in supplier countries. The workers that produce our textiles and leather goods suffer many injus­tices at their place of work. Social standards have come under public scrutiny. Indepen­dent auditors report exces­sive working hours, below-subsis­tence wages, discri­mi­na­tion, forced labor and other preca­rious or onerous work condi­tions. The “Decla­ra­tion of basic princi­ples and rights of work”, the basic work standard formu­lated by the Inter­na­tional Labour Organi­sa­tion (ILO) exists since 1998. This UN special agency is charged with regula­ting workman’s and labor rights in the textile and leather goods industry. It is important to note that the ILO does not address indivi­dual commer­cial enter­prises. Rather, it speaks directly to governments. The 140 countries which have ratified all or parts of this labor standard have obligated themselves to imple­men­ting them in their respec­tive countries. Often, however, especi­ally in countries marked by economic diffi­cul­ties and corrup­tion, governments tend not enforce imple­men­ta­tion. A globa­lized world accepts viola­tions of basic labor and human rights as the price for economic power and compe­ti­tive advan­tage. It would be incor­rect to place the entire respon­si­bi­lity for these often terrible situa­tions only on the shoul­ders of stake­hol­ders in industry and politics. Commerce, media and the public can contri­bute their share to an impro­ve­ment of this situa­tion. The past has proven that pointing fingers is not effec­tive. When we discuss social accoun­ta­bi­lity, when we verify social standards or insist on compli­ance, we are talking about 3 distinct areas of activity. The founda­tion is a respect for basic human rights. Children should not have to work the same way that adults work. No one should be discri­mi­nated against, mistreated or forced to work, to say nothing about situa­tions borde­ring on slavery. The second area to be addressed is workplace security. Does the company provide fire protec­tion, are the escape routes freely acces­sible, are workers provided protec­tive clothing, is there suffi­cient light, space and aeration? Ever since the catastrophe at RANA Plaza it is clear that factory buildings themselves must be appraised from the stand­point of building security. The third area to be addressed under social accoun­ta­bi­lity is assuring a decent wage for workers and their families. Do workers that manufac­ture products for us earn enough to ensure that they do not live in poverty? Do employers maintain reason­able working hours? Are workers secured by a contract? Are they able to join together in unions? Does the employer offer ongoing training? IVN has developed compre­hen­sive guide­lines for both an ecolo­gical and a socially respon­sible produc­tion of textiles and leather. The quality seals that arise out of these guide­lines address socially explo­sive issues as deline­ated above, incor­po­ra­ting strict requi­re­ments to ensure compli­ance with social standards. These provide an orien­ta­tion for consu­mers. The goals are formu­lated and enforced as formu­lated for each seal. Consu­mers can see what the specific prere­qui­sites for the manufac­ture of the final product are. At the same time, IVN actively engages in lobbying political insti­tu­tions. 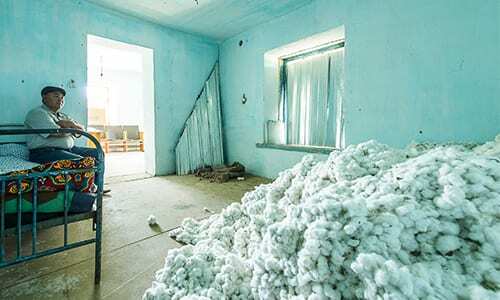 The current focus of this work is its parti­ci­pa­tion in Bündnis für nachhal­tige Texti­lien (alliance for sustainable textiles), a working group under the auspices of the German federal ministry of foreign aid. We are a member of the task force on social standards and decent wages, drawing on our profes­sional exper­tise to define a basis for practical and realistic solutions.